"Christ, the Master of humility, manifests His Truth only to the humble and hides Himself from the proud." - St. Vincent Ferrer (1350-1419). In other words, when a small band of cultists in the backwoods of Richmond, New Hampshire (or dissidents found anywhere else for that matter) believe themselves to be wiser than the Holy Father and all the Bishops throughout the world, you know humility isn't exactly their strong suit. Seems that members of this cult reject Vatican II (insisting that the Holy Spirit was not at work during this Council and that therefore its not infallible) and that the teaching of the Catechism of the Catholic Church (which Pope John Paul II has referred to as "a sure norm") is flawed. This very interesting e-letter from Karl Keating is definitely worth reading. For dissidents of all stripes: both "traditional" and "liberal." Ad Tuendam Fidem, Apostolic Letter Motu Proprio of Pope John Paul II, inserted a second paragraph into Canon 750 of the Code of Canon Law. The second paragraph reads, "..each and everything set forth definitively by the Magisterium of the Church regarding teaching on faith and morals must be firmly accepted and held; namely those things required for the holy keeping and faithful exposition of the deposit of faith; therefore, anyone who rejects propositions which are to be held definitively sets himself against the teaching of the Catholic Church." Pretty clear isn't it folks. Unless you are one of those who has succumbed to pride and are currently rejecting teachings which must be definitively held. Brother Andre Marie of the Saint Benedict Center cult has posted a comment to this website in which he accuses me of avoiding his comments and then goes on to suggest that such an attitude is "neither manly nor Christian." How ironic. For it is Brother Andre Marie who is living in denial and who fails to acknowledge those authentic teachings of the Church which he deems "unacceptable." Brother Andre Marie is blind to the fact that it is intrinsic to the Catholic religion, that before one can become a member, he must satisfy himself that the answers to all questions of faith or morals are contained in a Deposit of Faith which has been revealed by God and entrusted to a Custodian established by God Himself and endowed with infallible protection against any change or error. Since the only reason for believing any of it is God's promise that it is all infallibly true, it is all or none. Brother Andre Marie and his Saint Benedict Center cult have rejected the Church's authentic interpretation of the dogma which states that "Outside the Church there is no salvation." This is why this dishonest man fails to acknowledge the letter from the Holy Office to Archbishop Cushing of Boston dated August 8, 1949, in which the Holy Office explains that this dogma "is to be understood as the Church itself understands it" and that "Our Savior did not leave it to private judgment to explain what is contained in the deposit of faith, but to the doctrinal authority of the Church." Like their Protestant counterparts, the cultists at the Saint Benedict Center have, as the reason for their belief, not that of the infallible Teaching Authority established by God, but their own private judgment. At the same time, they condemn Protestants for taking the same approach to faith. Brother Andre Marie then quotes from several official Church documents pertaining to the dogma. For example, the Fourth Lateran Council's teaching that, "There is but one universal Church of the faithful, outside which no one at all is saved." And that's absolutely true. But who exactly is "ouside the Church"? Certainly not all of those who have not been physically baptized in the Catholic Church. As I have already reminded readers, this is not the teaching of Trent. And it most certainly was not the teaching of Pope Pius IX, when he taught that those who remain "outside" the Church because of their "invincible ignorance" are therefore not guilty in the eyes of the Lord. The dogma "Outside the Church there is no salvation" must be reconciled with another revealed truth. One which Brother Andre Marie apparently rejects. Namely, that God desires the salvation of all men (see 1 Timothy 2:4). The fact that one can be saved "outside" the Church by reason of his subjective disposition and good faith, not to mention his unconscious desire and connection with the Church, is clearly reflected in the teaching of Popes Pius IX, Pius XII (In his Encyclical Letter Mysici Corporis), and by the Holy Office in the Fr. Leonard Feeney case. And what does the Catechism of the Catholic Church have to say in this regard? We read that, "The Church has always held the firm conviction that those who suffer death for the sake of the faith without having received Baptism are baptized by their death for and with Christ." (CCC, 1258). And again, "Since Christ died for all, and since all men are in fact called to one and the same destiny, which is divine, we must hold that the Holy Spirit offers to all the possibility of being made partakers, in a way known to God, of the Paschal mystery. Every man who is ignorant of the Gospel of Christ and of his Church, but seeks the truth and does the will of God in accordance with his understanding of it, can be saved. It may be supposed that such persons would have desired Baptism explicitly if they had known its necessity." (CCC, 1260). So much for Brother Andre Marie's flawed understanding of the dogma "Outside the Church there is no salvation." What else does this intellectual giant have to say in his inane comments on this website? He writes, "The testimony about Father Feeney you cite from Joseph Devers agrees with what the enemies of our faith have said about him. Your friends in the ADL could not have said it better. However, I've known many people who knew Father Feeney - priests, religious, and laymen; friends, enemies, and those who are indifferent. By and large, the portrait they paint is of a very charitable man who wanted people to go to heaven." Really? I know many people myself who remember a bitter, angry priest named Father Feeney who would routinely embarass himself as he told various onlookers: many of them Protestants and Jews, that they were all damned to Hell. My mother, who is in her seventies, remembers the priest as one who seemed to be psychologically troubled and very eccentric. Evidently Brother Andre Marie has no problem with a priest rendering judgment on the souls of individual persons as if he were God Himself. And that says much about Brother Andre Marie himself. In fact, in concluding his imbecilic comments, he writes, "may Our Lord have mercy on your soul." As if I am endangering my immortal soul by reminding readers of the Church's authentic teaching on the dogma "Outside the Church there is no salvation" as well as Father Leonard Feeney's profoundly hateful rhetoric aimed at those he judged were going to Hell. Seems like charity isn't exactly a strong suit in either Father Feeney's (or Brother Andre Marie's) brand of Catholicism. And what of his claim that he knows of those who would paint a more "charitable" portrait of Father Feeney? By "charitable" he obviously means "more sympathetic toward Father Feeney's distorted ideas and personality". This would come as no surprise to me. After all, even Hitler had a circle of friends who would speak of him in more "charitable" terms. But then, they hadn't lost family and friends in the death camps. One last thought regarding Brother Andre Marie's adolescent commentary. His assertion that I am somehow less than "manly" because I won't engage in an argumentative and hate-filled "dialogue" with him is laughable. I have answered his comments, not because they are of any merit, they assuredly are not. But for the sake of my readers. As for my manliness, I was serving with Air Force Intelligence and training soldiers in the martial arts while defending this great nation at the same time that Brother Andre Marie was wearing short pants and crying on his mother's lap. As I have already shown, the Saint Benedict Center cult carries anti-semitic articles at its website. Articles which attempt to hold the Jewish People collectively responsible for Jesus' death. In the same fashion as many Neo-Nazi and other White Supremacist groups, the Saint Benedict Center cult promotes a "theology" which is extremely antagonistic toward the Jewish People. ...Neither all Jews indiscriminately at that time, nor Jews today, can be charged with the crimes committed during his Passion....The Jews should not be spoken of as rejected or accursed as if this followed from holy Scripture." (CCC, 597, quoting from Nostra Aetate, No. 4). A member of the Saint Benedict Center cult e-mailed me today, referring to my posts as "garbage." This says much regarding this man's disturbed personality. For my posts reflect the Church's authentic teaching on the dogma which states that "Outside the Church there is no salvation" as well as the Church's authentic teaching on the Jewish People with regards to Jesus' death. What this poor soul was really suggesting is that the Church's teaching, as expressed in the Catechism of the Catholic Church, is "garbage." In other words, for him, the teaching of Jesus Himself through His Magisterium is "garbage." Pray for this confused man and the anti-semitic cult which he belongs to. In his acclaimed book on the life of Richard Cardinal Cushing entitled "Cushing of Boston: A Candid Portrait," noted author Joseph Dever - who was both a well known novelist and feature writer for the Boston Sunday Herald as well as a former editor of the Bruce Publishing Company, devotes a chapter to the Leonard Feeney affair. He writes, "Many Boston Catholics - this writer included - were friends of Feeney and his brother, the whimsical, lovable fellow Jesuit, Thomas Butler Feeney, during World War II and through the late Forties. The relationship was laudable and normal in those days. Eventually, Father Feeney began saying and doing strange things; perhaps he was under exceptional mental strain. His rigid, fanatical emphasis on 'No salvation outside the Church' was bad enough at first...But Father Feeney's rigid fanaticism deteriorated steadily into bitter invective. He reduced the doctrine to the absurd.." (p. 144). He continues: "Anyone who has ever been to St. Benedict Center during the first days of deterioration, or to the Sunday 'seances' at the Boston Common during the final days, can recall some of Father Feeney's sick, horrifying rhetoric. Even in the early days, no difference of opinion, no matter how gentle or reasonable, would be tolerated." (pp. 145-146). Of course not. When spiritual pride sets in, it is easy for a person's Catholicism to become perverted. And even angry and possibly violent. In a hateful and argumentative e-mail sent to me today, Mr. Douglas Bersaw once again denies the reality of the Holocaust and ignores all of the disturbing facts revealed about his cult in Richmond, New Hampshire. No mention is made of how the Diocese of Manchester has stated clearly that this "community" is not in "union with the Church." No mention is made of the hateful and anti-semitic articles which may be found at the website belonging to his cult. There is no mention in his e-mail of his cults hateful and arrogant attitude toward the Church's authentic teaching as well as its authority. To his credit, Mr. Bersaw does make one legitimate point. He faults me for suggesting that his cult is located on 200 acres when in reality it rests on 15. This faux pas is not mine however. I was merely quoting from The Boston Globe. Having read this man's hateful e-mail, I understand more than ever why so many residents in Richmond worry about his cult. Could the Saint Benedict Center be another Waco in the making? "For I am not ashamed of the gospel. 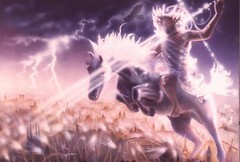 It is the power of God for the salvation of everyone who believes: for Jew first, and then Greek." (Romans 1: 16). In an article which may be found at the Saint Benedict Center website, and whose author is unknown, the Jewish people are described as being the "backbone of the anti-Christian army." But the Catechism of the Catholic Church has this to say about them: "And when one considers the future, God's people of the Old Covenant and the New People of God tend towards similar goals: expectation of the coming (or the return) of the Messiah. But one awaits the return of the Messiah who died and rose from the dead and is recognized as Lord and Son of God; the other awaits the coming of a Messiah, whose features remain hidden till the end of time; and the latter waiting is accompanied by the drama of not knowing or of misunderstanding Christ Jesus." (CCC, 840). And again: "The relationship of the Church with the Jewish People. When she delves into her own mystery, the Church, the People of God in the New Covenant, discovers her link with the Jewish People, 'the first to hear the Word of God.' The Jewish faith, unlike other non-Christian religions, is already a response to God's revelation in the Old Covenant. To the Jews 'belong the sonship, the glory, the covenants, the giving of the law, the worship, and the promises; to them belong the patriarchs, and of their race, according to the flesh, is the Christ'; for the gifts and the call of God are irrevocable." (CCC, 839). There you have it: The authentic teaching of the Church regarding our Jewish friends and the teaching of anti-semitic bigots. I'll stay with the Magisterial teaching. And I'll continue to cherish my Jewish friends, even while disagreeing with them on the Person of Jesus Christ. A friend of mine was visiting the website of the Saint Benedict Center out of curiosity the other day. He informed me how he typed the word "Jew" into the search engine at this site just out of curiosity - since Mr. Douglas Bersaw, the Center's founder, would appear to deny the reality of the Holocaust. The results? The very first article listed in the series was an article entitled "The Secret of the Masons and the Jews." an article which first appeared in a periodical called "The Point." In this article, readers are told that, "From the time the Apostles first began to evangelize the nations, the Catholic Church has had one great, fierce, and enduring enemy. That enemy is the Jews - the people who rejected their King and their God, who crucified Him, and who prophesied the stain that should forever mark them, in their defiant shout, 'His Blood be upon us and upon our children. '....For twenty centuries the Jews have never ceased to reiterate their rejection of Jesus. With concentrated Hebrew intensity they have bent themselves to the task of assaulting the Church which He founded and in which He lives. It is that purpose that has bound the Jews together - a stubborn, alien knot that refuses to be dissolved into any society. Throughout history the Jews have been the soul of every anti-Christian movement. There has not been a single important program or organization aimed at the overthrow of the Catholic Church in which they cannot be found lurking." (http://www.catholicism.org/pages/masonjews.htm ). 1. 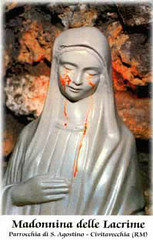 The Catholic Church's "one great, fierce, and enduring enemy." 5. A people whose mutual hatred of the Church is what has bound them together, this is their purpose. 6. A people whose stubborness constitutes an "alien knot" which prevents them from being assimilated into a society. 7. A people who are the "soul" of every anti-Christian movement. 8. A people who are "found lurking" behind every single important program or organization "aimed at the overthrow of the Catholic Church." The friend who sent me this article actually visited the Saint Benedict Center recently and told me that the community appears to be fascinated with the Jewish community and that there are talks given at the Center which are usually very unflattering toward the Jewish community. Could it be that residents of the town of Richmond, New Hampshire, who indicated in a recent article published in The Keene Sentinel that they have serious concerns regarding the Center, have reason to be concerned after all? 1. "A person who labors under some form of insanity or other psychic defect due to which, after consultation with experts, he is judged incapable of rightly carrying out the ministry"
2. "A person who has committed the delict of apostasy, heresy or schism"
Can. 1045: "Ignorance of the irregularities and impediments does not exempt from them"
Can. 1016: "As regards the diaconal ordination of those who intend to become members of the secular clergy, the proper bishop is the bishop of the diocese in which the candidate has a domicile or the diocese to which he intends to devote himself; as regards the presbyteral ordination of secular clerics, the proper bishop is the bishop of the diocese into which the candidate has been incardinated through the diaconate"
Can. 1017: "A bishop can confer orders outside his own jurisdiction only with the permission of the diocesan bishop." 2. an apostolic administrator and, with the consent of the college of consultors, the diocesan administrator; and with the consent of the council mentioned in can. 495, 2, an apostolic pro-vicar and pro-prefect." Not surprisingly, Diane Murphy Quinlan, the diocese's vice chancellor, was quoted in the same article as having said that, "The St. Benedict Center has no relationship with the Diocese of Manchester and Bishop McCormack has not given them permission to do ministry in New Hampshire...They are not in union with the Church." To say the least. And what are members of the Saint Benedict Center doing when they're not denying the Holocaust or ridiculing Pope John Paul II? Well, right now they are distributing a mailing entitled "Two Major Announcements - Epiphany 2005," in which they once again thumb their collective noses at the Church while engaging in more hateful rhetoric aimed at the Church's hierarchy. In this letter, Brother Francis, M.I.C.M., writes: "I have appointed Brother Andre Marie to succeed me as superior upon my death....As I wrote and lectured under the direct supervision of Father Feeney for many years, so Brother Andre Marie has written and lectured for several years under my guidance, taking my corrections and showing himself loyal to our school of thought." And what is this "school of thought"? That the Church's interpretation of "Outside the Church there is no salvation" - Extra ecclesiam nulla salus - is incorrect and that Father Leonard Feeney's interpretation of this dogma is the correct one. In fact, in his letter, Brother Francis refers to "modernists in authority in the Church" who have an "ecumenical agenda" which includes a "denial of 'no salvation outside the Church.'" This is, of course, plain nonsense. In a letter of the Holy Office to Archbishop Cushing of Boston dated August 8, 1949, the Holy Office explained that the Catholic Church is necessary for salvation because of the command of Christ and also because the Church is a necessary means for salvation. However, it was explained that since the Church is such a means only by divine institution and not by intrinsic necessity, that formal membership in the Church is not required of all men under all circumstances: "The infallible dictum which teaches us that outside the Church there is no salvation, is among the truths that the Church has always taught and will always teach. But this dogma is to be understood as the Church itself understands it. For Our Savior did not leave it to private judgment to explain what is contained in the deposit of faith, but to the doctrinal authority of the Church....Of those helps to salvation that are ordered to the last end only by divine decree, not by intrinsic necessity, God, in his infinite mercy, willed that such effects of those helps as are necessary to salvation can, in certain circumstances, be obtained when the helps are used only in desire or longing. We see this clearly stated in the Council of Trent about the sacrament of regeneration and about the sacrament of penance." This is also the teaching of the Catechism of the Catholic Church, which tells us that: "God has bound salvation to the sacrament of Baptism, but he himself is not bound by his sacraments." (CCC, 1257). And what is Brother Francis' second "major announcement"? He writes, "Since the death of Father Feeney, we have never had a cleric as a religious member of the Slaves of the Immaculate Heart of Mary, circumstances in the Church [read their own disobedience to Church teaching and authority] making it virtually impossible to attain that goal. Regardless of this, it was the intention of our Founder to have priests in our First Order, and we have never abandoned that desire...Years of searching for priests to assist us have turned up no long-term solution.... The demands of serving our community call for a priest convinced of our position and goals. Otherwise, longevity is not likely. The most obvious question is how will it be done? We have long prayed for this goal, and sought to achieve it through proper canonical channels. Knowing how saturated the hierarchy is with modernism - from Rome on down - we have concluded that passage through these channels is impossible without compromising our Crusade. We are forced to take extraordinary measures to procure ordination. To be precise, we would be seeking ordination without dimissorial letters, the canonical permission granted by a diocesan bishop or other prelate for a man to be ordained. Is this action justified? In a word: Yes....Readers can rest assured that we would never present ourselves to a heretic or schismatic for Holy Orders. Such an action would violate the very principles we are vowed to defend." And so these troubled people, more slaves to disobedience and pride than to the Immaculate Heart of Mary, intend to seek ordination for one of their "brothers" - specifically Andre Marie - their new "superior," without canonical permission. This comes as no real surprise. The history of the Saint Benedict Center is a sad one filled with many pages of rejection of authentic Church teaching and an angry and hateful attitude directed at the Church's hierarchy. Unable to conform to Church teaching and to demonstrate any respect for the Church's hierarchy, this community's prayers to God for priests to serve them have gone unanswered. No surprise here either. God doesn't bless infidelity. And since God hasn't answered their prayers, these poor souls are now willing to seek ordination for one of their own without the permission of Holy Mother Church. Since Holy Orders is a sacrament of the Church, and since members of the Saint Benedict Center intend to seek ordination of one of their "brothers" without canonical permission simply because they have never "abandoned that desire," I wonder if they consider this justified as a "Holy Orders of Desire"? 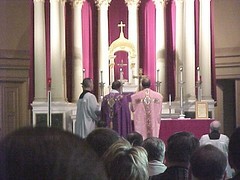 The same people who deny that God is not bound by His sacraments and that "God, in his infinite mercy, willed that such effects of those helps as are necessary to salvation can, in certain circumstances, be obtained when the helps are used only in desire or longing," are now attempting to ordain a member of their community outside of canonical channels. Small wonder that no priests have been attracted to their community. Pope Pius XII, one of our greatest Popes of recent times, is again being slandered by The New York Times in an article which can aptly be described as demonic and which accuses the great Pontiff of instructing Catholics not to return Jewish children who had been hid from the Nazis during their reign of unspeakable terror. This truly saddens me since Pope Pius XII was such a loving man and so concerned with the welfare of the Jewish people. My father had an audience with Pius XII and was deeply inspired by the incredible holiness of this Vicar of Christ. I have a rosary which was blessed by His Holiness and a special blessing from him for our family which he gave to my father in April of 1958, some six months before he went to be with the Lord. This precious child at prayer with her dolls is heartwarming is it not? In his latest book entitled, "Rise, Let Us Be On Our Way," Pope John Paul II writes that: "By his manner of life, a bishop demonstrates that the Christ as "Model" lives on and still speaks to us today. One could say that a diocese reflects the manner of life of its bishop. His virtues - chastity, a spirit of poverty and prayer, simplicity, sensitivity of conscience - will, as it were, be written into the hearts of his priests. They, in their turn, will convey these values to the faithful entrusted to their care, and in this way young people can be led to make a generous response to Christ's call." (p. 129). And on page 66 of the same book, the Holy Father explains that, "It is very important for a bishop to have a rapport with his people and to know how to relate to them well...Interest in others begins with the bishop's prayer life: his conversations with Christ, who entrusts 'His own' to him. Prayer prepares him for encounter with others." And so, a Bishop should be a man of deep prayer. And that prayer should motivate him to be a good "paterfamilias" to the faithful who have been entrusted to him by the Lord Jesus. As the Holy Father explains, every individual diocese is a reflection of its Bishop's manner of life. If a diocese is in near constant turmoil, what would this indicate about the Bishop's "manner of life"? If children are sexually abused while a Bishop merely shuffles the abuser from one assignment to another, would this not indicate that something about the Bishop's "manner of life" is gravely wrong? If a diocese is plagued with dissidents and other malcontents who lay siege to various parishes while insisting that the Church's teaching must change or that the very structure of the Church must change, what would this indicate about its Bishop's "manner of life"? To be sure, not everything negative which transpires in a diocese may be laid at its Bishop's doorstep. However, as the Holy Father makes abundantly clear, "The responsibilities that weigh on a bishop's shoulders are many." (p. 93). He cites St. Augustine's long sermon "On the Shepherds" writing that, "With reference to the Book of the Prophet Ezekiel, the bishop of Hippo strongly rebukes evil shepherds, who are concerned not for the sheep but only for themselves. 'Let us see how the word of God, that flatters no one, addresses the shepherds who are feeding themselves, not the sheep. You take the milk, you clothe yourselves with the wool, you slaughter the fatlings; but you do not feed my sheep. The weak you have not strengthened, the sick you have not healed, the crippled you have not bound up, the strayed you have not brought back, the lost you have not sought; any strong one you have killed; and My sheep are scattered because there is no shepherd.'" (pp. 63,64). Indeed, the responsibility of a Bishop is a grave one. This is why the great Saint Augustine (Bishop and Doctor of the Church) said that his vocation as a Christian instilled him with "great hope" but that his vocation as Bishop instilled him with "great fear." It was Jesus, after all, who said that: "Much will be required of the person entrusted with much, and still more will be demanded of the person entrusted with more" (Luke 12: 48). Could this be why the normally gentle Saint John Chrysostom has been quoted as having said that the road to Hell is paved with the skulls of Bishops? Troubling words coming from a gentle saint who was known not only for his great eloquence (his last name translated as "golden-mouthed") but for his pacific spirit. Troubling words indeed! In his encyclical letter Annum Sacrum, His Holiness Pope Leo XIII reminded us that, "The empire of Christ the King includes not only Catholic nations, not only baptized persons who, though of right belonging to the Church, have been led astray by error, or have been cut off from her by schism, but also all those who are outside the Christian faith; so that truly the whole of mankind is subject to the power of Jesus Christ." 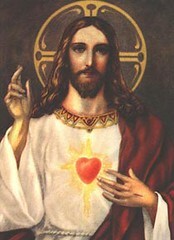 All men are subject to the rule of Jesus Christ the King. And this for two reasons: first, because He is our Creator and we are His created subjects. Without God, we would not exist. Therefore, we owe Him everything while He owes us nothing. And it follows that no one has a right to withhold his obedience to God. Secondly, as Pope Pius XI explains to us in his encyclical letter Quas Primas, we must subject ourselves to Christ the King because He is our King by acquired right as well as by natural right, because He is our Redeemer: "Would that those who forget what they have cost our Saviour might recall the words: 'You were not redeemed with corruptible things, but with the Precious Blood of Christ, as of a lamb unspotted and undefiled.' We are no longer our own, For Christ has purchased us 'with a great price'; our very bodies are the 'members of Christ.'" That we are Christ's subjects both by natural and acquired right, the Holy Spirit explains to us through St. John in Revelation, Chapter 17. We read there that Christ is "the ruler of the kings of the earth" (v. 18). Since the kings of the earth (nations and those who govern them) are subject to the Kingship of Jesus Christ, Christ has a right to over entire societies as well as individual persons. Jesus is our brother and also our friend. But let us not forget that He is also our King and our Judge. And that we are His creatures who owe Him our total obedience. Let all the earth fear the Lord: and let all the inhabitants of the world be in awe of him. For he spoke and they were made: he commanded and they were created. (Psalm 32). EWTN is a great Catholic resource. I encourage readers to watch Mother Angelica Live, Life on the Rock, Web of Faith and all their other great programming. "..true unity presupposes unity in truth. Error, falsehood, can never be the basis for true unity. That holy, supernatural unity of which our Lord speaks in the priestly prayer ut unum sint - that all may be one - can come to pass only in the profession of divine truth, in the membership of the Mystical Body of Christ. It is a unity which includes some but, by the same token, excludes others. As Father Werenfried van Straaten reminds us, 'Jesus' prayer that all may be one may not be separated from His other words: I say unto you that whoever does not enter by the door of the sheepfold is a thief and a robber....I am the door.'" The Roman Rite, as codified by Pope St. Pius V, (often referred to as the "Latin Mass") is again available thanks to Pope John Paul II's 1984 indult and the promulgation of Ecclesia Dei in 1988. 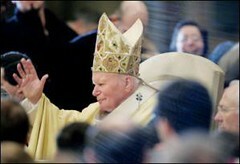 Pope John Paul II has called for "a wide and generous application" of this Roman Rite. When a person dissents from Church teaching, he is not in living communion with the mind of Christ, which is made known to us through His Church's Magisterium. 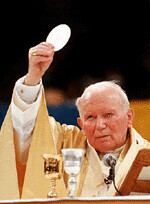 Such a person is not, therefore, in a proper condition to receive the sacraments. Pope John Paul II has stated this clearly: "It is sometimes claimed that dissent from the Magisterium is compatible with being a 'good Catholic' and poses no obstacle to the reception of the sacraments. This is a grave error." (Address to the U.S. Bishops, Los Angeles, September 16, 1987). See also Catechism of the Catholic Church, 1395). Many who call themselves Catholic are no longer living in communion with Christ. And this fact explains why they are often so bitter and angry. For happiness is the result of living in communion with others in the Lord Jesus. As Vatican II has reminded us, "The bonds which bind men to the Church in a visible way are profession of faith, the sacraments, and ecclesiastical government and communion. He is not saved, however, who, though part of the body of the Church, does not persevere in charity. He remains indeed in the bosom of the Church, but, as it were, only in a bodily manner and not in his heart. All the Church's children should remember that their exalted status is to be attributed not to their own merits but to the special grace of Christ. If they fail, moreover, to respond to that grace in thought, word and deed, not only shall they not be saved but they will be the more severely judged." (Lumen Gentium, No. 14). The choice is ours: accept the teaching of the Magisterium which is the mind of Christ or separate ourselves from a living communion with the Lord Jesus. Let us remember where self-will ultimately leads.....HELL. The responsibility of a Pope to teach and guard truth, and of the faithful to acknowledge and obey, has been clearly defined in many documents. In his encyclical letter entitled Humani Generis, Pope Pius XII (one of our greatest Popes and one whom my father had an audience with back in 1958) stated clearly that: "...If the Supreme Pontiffs in their official documents purposely pass judgment on a matter up to that time under dispute, it is obvious that the matter, according to the mind and will of the same Pontiffs, cannot be any longer considered a question open to discussion among theologians...God has given to His Church a living Teaching Authority to elucidate and explain what is contained in the deposit of faith only obscurely and implicitly. This deposit of faith our Divine Redeemer has given for authentic interpretation not to each of the faithful, not even to theologians, but only to the Teaching Authority of the Church." Obedience and loyalty to the Holy Father are, therefore, hallmarks of true Catholics. In an upcoming article, I will be explaining in detail why dissent from Church teaching is unacceptable and why, in certain cases, dissidents are not in a proper condition to receive the sacraments. 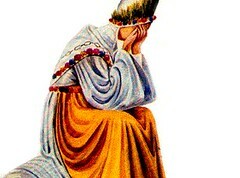 In these troubled times we live in, let us all approach Our Lady of La Salette with confidence. She intercedes for us in all our needs. What attitude should a Bishop have toward laity? The Call of Jesus, "You go into my vineyard too," (Matthew 20:4), is not a call reserved only for ministerial priests. As Pope John Paul II has reminded us in his encyclical letter Christifideles Laici: "The call is a concern not only of Pastors, clergy, and men and women religious. The call is addressed to everyone: lay people as well are personally called by the Lord, from whom they receive a mission on behalf of the Church and the world." Sometimes a Bishop can forget this. At times, Bishops have been known to treat the laity almost as if they were "second-class" citizens within the Mystical Body of Christ. What does Canon Law have to say with regard to the pastoral responsibilities of a Bishop in dealing with the faithful? Canon 383 states quite clearly that, "In the exercise of his pastoral office a diocesan bishop is to show that he is concerned with all the Christian faithful who are committed to his care regardless of age, condition or nationality, both those who live within his territory and those who are staying in it temporarily; he is to extend his apostolic spirit to those who cannot sufficiently make use of ordinary pastoral care due to their condition in life and to those who no longer practice their religion." And what should be the attitude of a Bishop with regard to lay involvement in ministries? Again, Canon Law is quite clear: "As much as is possible the diocesan bishop is to foster vocations to the different ministries and to the consecrated life, with special care shown for priestly and missionary vocations." (Can. 385). 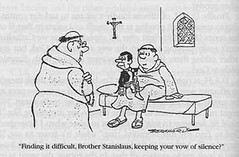 If a lay person is engaged in an apostolate which is faithful to Church teaching and which has been approved by legitimate Church authority in accord with the norm of law, and the local Bishop refuses to meet with or even acknowledge that person's presence even though his predecessor had already officially sanctioned the apostolate and gave it his blessing, is such an attitude very pastoral? A Bishop should love those under his care. As a successor to the Apostles, his charity must be extended freely toward all. Any other attitude would seem to suggest that a Bishop is not exercising his ministry in a responsible way.